Describe in detail your experience with Nelda Patterson, REALTOR® minimum 10 words, maximum 200 words. I would highly recommend Nelda for all of your Real Estate transactions. I was moving down from Oregon on short notice and Nelda went above and beyond helping me out to find a place to live that I knew I could feel safe and comfortable. Helped me and my girlfriend and found us the perfect rental. Reliable and approachable. Cant ask for more. She knows the area well and handled our process with an independent expertise that allowed us to keep our focus on the things we cared about while we got situated in a new home. Nelda has been helpful with information regarding loan processing and financing options. She has given us good information on the difference of buying a home vs condo. As the time comes for us to purchase, I'll definitely keep Nelda in mind and would definitely recommend her to family and friends. Nelda is a very personable individual. She is knowledgeable in her field but also has many connections making it possible to point you in the right direction if your situation is unique. I would highly recommend Nelda to anyone looking for an agent. She will represent you as if you were a long time friend or family member. She is very professional but still manages to be friendly and down to earth. I highly recommend Nelda Patterson for your real estate needs. Nelda was very understanding of what we wanted in a home. She looked after us like if we were her family not clients and to the date she feels like family, not just our real estate agent. She understood our family situation and looked after our children which I really liked. Her enthusiasm is contagious, she got me excited about looking for homes because I was scared at first. She made it feel like it was a positive experience instead of a stressful one. I loved the way she would talk to the sellers one on one to try to negotiate our deal against the cash buyers. Nelda is the best and she always wants the best for her clients. She saw us as friends not clients. Nelda Patterson is dedicated to her clients. A true professional in every sense of the word kind and personable . She is skilled and extremely knowledgeable in her field of expertise. It is a pleasure having Nelda Patterson as my Real Estate advisor as my family prepare to transition from one property to the next. She takes the time and listens to what is important to me. She never makes me feel pressured... I highly recommend Nelda Patterson she truly goes the extra mile for you! 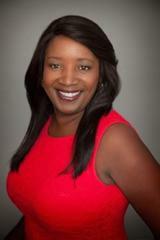 Nelda is the person you want to call to help expedite your home search. You'll want to tell everyone you know about her. I have referred her to family, friends and clients. Nelda is quick to respond and listens to your needs. She has extensive knowledge of San Diego which helps to narrow down searches based upon your criteria. Nelda is amazing at anything she decides to accomplish. She's detailed and strategic. She pays attention to peoples need and actually listens and hears their requests. Nelda will help you get you what you need the way you need it. I can't imagine a better person to help people find their dream home or sell their current home. Nelda, is a pleasure to work with! She is an amazing business partner and gets the job done. She is very responsive and one of the hardest working Realtors that I work with for business. Her clients love her tenacious work ethic and her professionalism. She researches all aspects of a transaction for her clients, she is very client focused. She is definitely one of my favorite business partners and very fun to do business with as well!